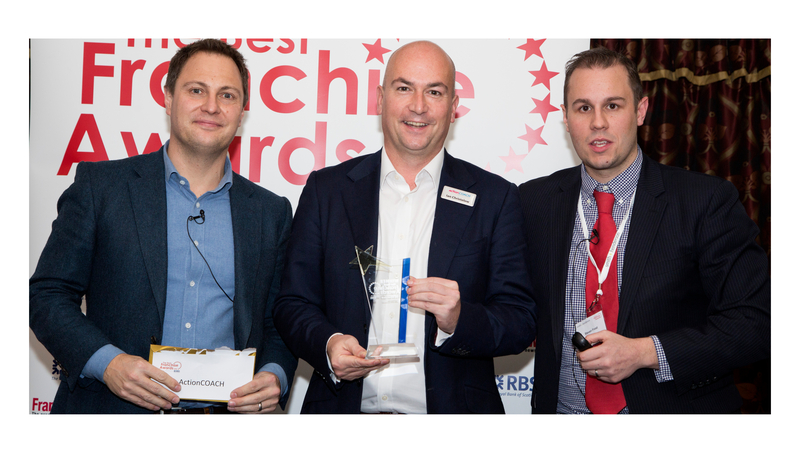 This week, ActionCOACH was awarded Best Mid-Priced Franchise (£25-99k investment) at the RBS Best Franchise Awards 2016. This isn’t just the first time they have won this award, it’s the third win in three consecutive years. Smith & Henderson’s Franchise Satisfaction Survey has been adopted by over 100 franchisors since it started in 2011 and ActionCOACH franchise owners were invited to rate their franchisor, its products and services and its infrastructure. The results of this survey produces a benchmark of satisfaction scores and high-scoring franchises are invited to present to a panel of judges for the RBS Best Franchise Awards. ActionCOACH beat franchises Ewe Move and Tax Assist to the top spot for Best Mid-Priced Franchise this year. In 2013 ActionCOACH became the first recipient of Smith & Henderson’s coveted 5-Star Franchisee Satisfaction Award with record-breaking satisfaction scores. In 2016, ActionCOACH became one of just five franchisors to receive the 5 Star Franchisee Satisfaction rating 4 times! ActionCOACH UK Co-founder Ian Christelow had the honour of being presented with the trophy by Smith & Henderson CEO, Steven Frost, for an unprecedented third time, “We’re elated to win a hat-trick of Best Franchise Awards. This year the mid-priced category increased to £99k meaning we were up against the likes of last year’s Best Large Franchise winner, Tax Assist, and to finish top again is testimony to the tireless efforts of our UK Support Team. “I have to mention Julie Wagstaff, our Recruitment Director, who makes events like our Business Excellence Forum better year after year. James Vincent, Director of Coaching, and his world-class team of master coaches. John Asquith, our sales guru, and his dedicated lead and client generation team. “Most of all, I have to thank our fantastic network of over 150 franchise owners, the calibre of individuals in our network is second-to-none and our culture of teamwork and abundance means support is readily available at the end of the phone. Not just that our franchise owners volunteer to run webinars and training days for free to share best practice and successful innovation, which means we can put on a franchise industry ground-breaking 70 days a year of support in the UK.